The quick-locking mechanism and quick-release hinges will let you make adjustments in an instant. Palm Springs has designed this metal garden cart with an astonishing range of helpful features. 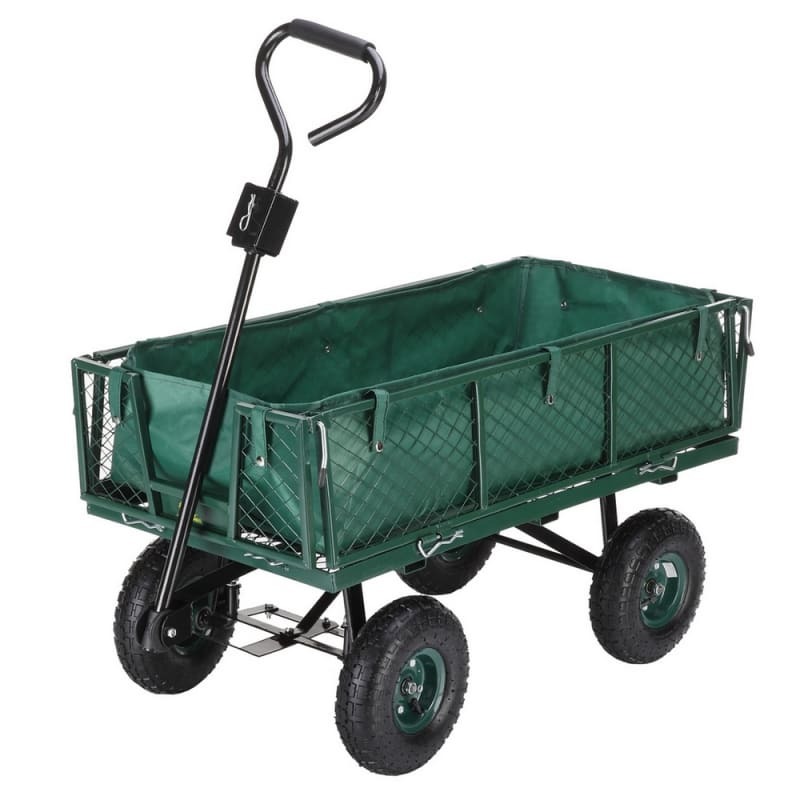 Using this cart to carry waste will make gardening a breeze. The sidewalls can be dropped down as you need them, and it’s also possible to remove them. The quick-locking mechanism and quick-release hinges will let you make adjustments in an instant. A robust steel frame and pneumatic rubber tyres will let you move up to 300kg in a single load. The cushioned handle and independent steering axle will let you quickly move it where you need to go. You can store the cart in small spaces by utilising the flat-packed feature. Palm Springs has also included an interior bag for keeping items together. This a garden cart that is literally overflowing with helpful features. Order your Palm Springs cart today.